[prMac.com] Milan, Italy - Apimac's HTML Stripper is the right hand of thousand of professionals: bloggers, web editors, designers and programmers who work daily with tens of .html files. 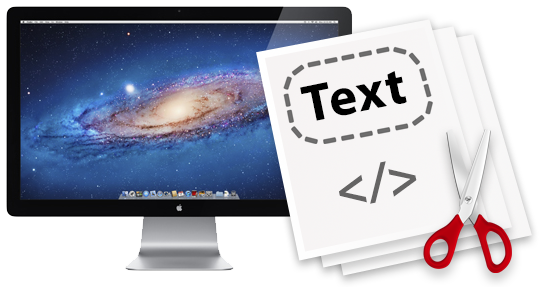 HTML Stripper makes it possible to get text from any webpage cleaned up from any code tags with a simple Drag and Drop. Just drag and drop on the application's window a .html file, a portion of code or, even a web address directly from Safari o from other browsers. HTML Stripper will restore instantly the page's text free from any HTML tags and will place it in order, on a convenient list, all links and media present in the page. 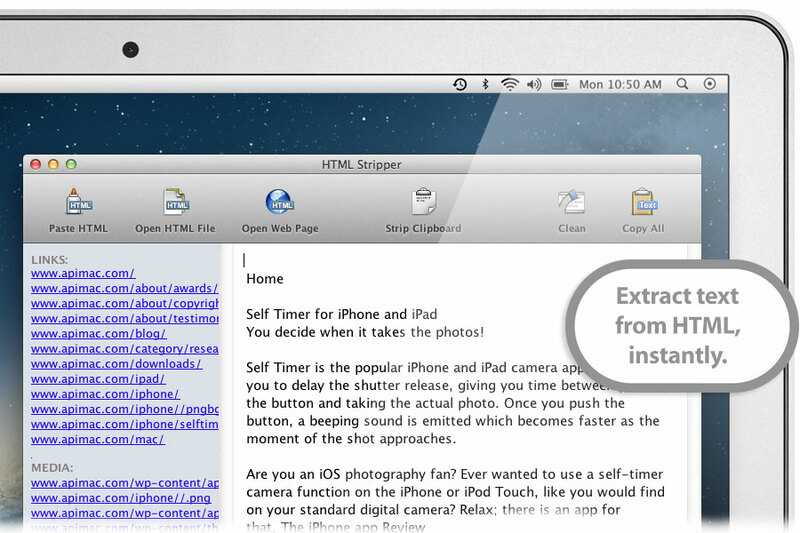 In addition, thanks to the Strip Clipboard function, it is possible to clean up from HTML tags any code portion which has been copied to the Notes. By Pasting it, it will result in text already cleaned up, for maximum productivity. HTML Stripper is available on the Apimac website at the price of $19.99 (Euro 15.99) per single license. A 30 day trial version without limitations, is available for download at the Apimac web site. Located in Milan, Italy, Apimac is a company founded in 1996 dedicated to Mac OS X and iOS only software. People at Apimac aim to put into users' hands applications which they can use in a way they do things every day. Right after opening their applications, users can immediately focus on their task, not even noticing that they're using entirely new software. Copyright (C) 1996-2013 Apimac. All Rights Reserved. Apple, the Apple logo, Macintosh, iPhone, iPad and iPod are registered trademarks of Apple Computer in the U.S. and/or other countries.